To read this content please Login, or if not already a member please choose a membership option. N.B. 2 Months free trial does not require payment or credit card. When can I call Reassura for advice? Our website includes comprehensive information about how to stay safe from scams and fraud. Our friendly, specialist advisors are available 8.30am – 6.30pm, Monday to Saturday. Please call 0800 888 6400. How do I know I can trust Reassura? Reassura has a management team that have held senior positions with top global companies. Our non-executive directors include a founder and a trustee from a leading charity. We have 204 shareholders who have invested in us. Reassura regularly features on the BBC, the national and local press and radio. Is Reassura a government agency? No, we are not a government agency. 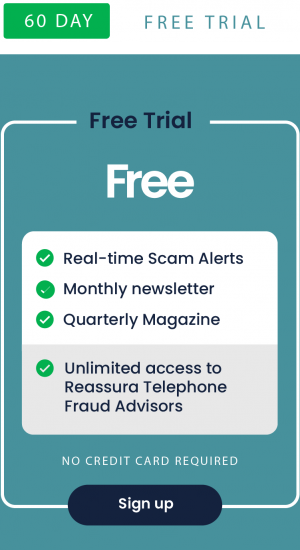 Reassura is a private fraud avoidance service offering free Scam Alerts and Newsletters. Plus a range of premium scam and fraud avoidance memberships to help people avoid scams and fraud. Can I forward a suspicious email to your Fraud Advisors and will they be able to help me? Our Fraud Advisors would be more than happy to have a look at such an email. Call us and we will give you the email address to forward on the suspicious email. What training do your Fraud Advisors have? Each Advisor has completed the National Trading Standards ‘Friends Against Scams’ programme. Profession Mark Button from the University of Portsmouth, a specialist in fraud, developed our advanced training scheme. Where are your Advisors based? All of our staff and specialist Fraud Advisors are UK based. I think I’m a victim of identity theft. Can I report that to Reassura? No, but Reassura can help you report identity theft to the right people. How can you protect yourself from identity fraud? Prevention is the best protection from identity theft. Read the guides on our website, sign up for our scam alerts and call Reassura on 0800 888 6400 for further advice if needed. How can I tell if something might be a scam? 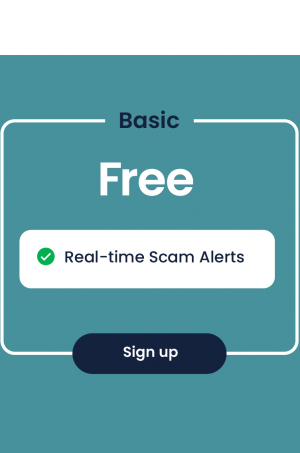 Reassura's fraud experts have put together a wide range of free guides that explain all the most common scams. How to avoid them and what do if you have become a victim. 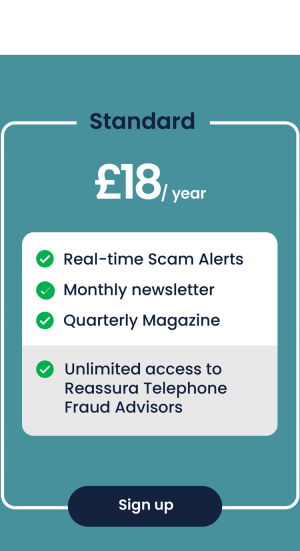 To speak to an expert, please join Reassura, then you can give us a call and talk to a specialist fraud advisor whenever you have a concern. There are several common warning signs of a scam. Read our free guides or sign up to receive our real-time scam alerts and guides to help protect yourself from scams and fraud. What if I report something and it turns out not to be a scam? If you report something to Action Fraud (T: 0300 123 2040) and it turns out to be genuine if you tell them you were uncertain you will be fine. How do I know if someone who says they want to help me is legitimate? It is difficult to tell if someone who says they want to help is legitimate but joining and checking with us will benefit. The guides and videos section of our website includes a wide range of information. We reveal scam alerts, identify phishing emails, copycat sites and all the most common techniques used by fraudsters to steal your valuable personal information and money. Which of the following emails is a scam? Please see our Guides and Videos section of our website to learn about phishing, vishing and smishing and to understand more about all kinds of email scams. Which of the following should be a cause for concern regarding fraud? Frauds have several standard features; you can read about these in the Guides and Videos section. Discover all the most misleading and common causes for concern. Which of the following will your bank never ask you? A bank will never ask you for your full PIN or password. Which of the following sounds most like a scammer? Please watch our videos, read our guides, articles and real-life stories to learn what scammers sound like and to help protect yourself from scams and fraud. What is a Rubber Ducky? Fraudsters use a rubber ducky. A rubber ducky looks like a standard USB drive but can upload malware to your computer or steal passwords and files. What would you do if you got an email from a friend who needed money? If you get an email from a friend who needed money, give them a call and check it’s them. If anything sounds remotely suspicious take time to investigate a little further than usual to protect yourself from fraudsters who may have stolen a friends identity or hacked their contacts, Facebook or social media accounts. What would you do if you got a phone call about an investment opportunity? If you get an email from a friend who needed money, give them a call and check it’s them. If anything sounds remotely suspicious, take time to investigate a little further than usual to protect yourself from fraudsters. What would you do if you were asked to pay money to a senior work colleague? If a senior work colleague asks you to pay them money you need to report the matter in person to HR or an even more senior member of staff. Fraudsters often masquerade as senior executives making demands to employees to transfer funds or make payments. They expect them to obey without question or follow the official procedures that have been put in place to protect them from scams and fraud. What would be a safe password choice to avoid identity theft and to protect my computer and personal information? Always use more than the minimum number of characters with a mix of upper and lower cases, numbers and special symbols (!”£$%etc). Reassura has a written free comprehensive guide to good strong passwords, and you can find this in the Guides and Videos section of our website.